GM ELECTRONIC OVERDRIVE TRANSMISSIONS. 4L60E AND 4L80E, BOTH OF THESE UNITS ARE DESIGNED AS STAND ALONE TRANSMISSIONS WITH OUR SMART SHIFT CONTROLLER OR OTHER AFTERMARKET TRANS COMPUTER. THE STREET SMART PACKAGES INCLUDE OUR SUPER STREETER TRANS, 2500 STALL CONVERTER, SMART SHIFT TRANS CONTROLLER, MOUNT, DIPSTICK AND FILLER TUBE. 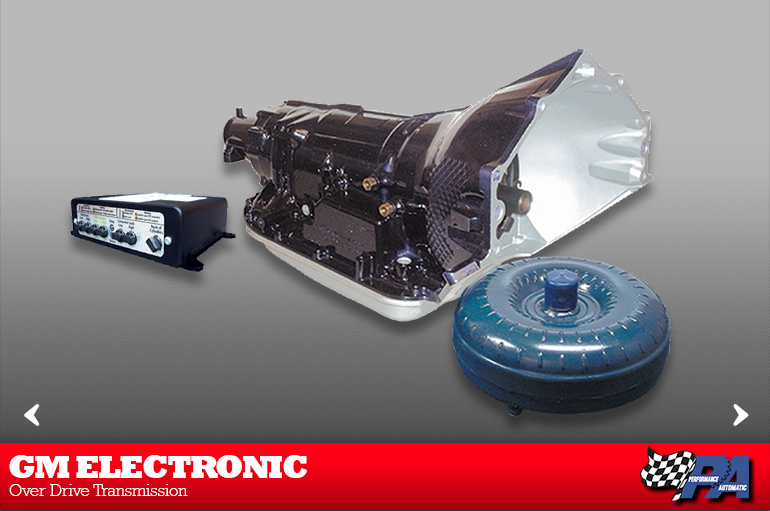 ALL GM ELECTRONIC TRANSMISSION HAVE A 1 YEAR WARRANTY.